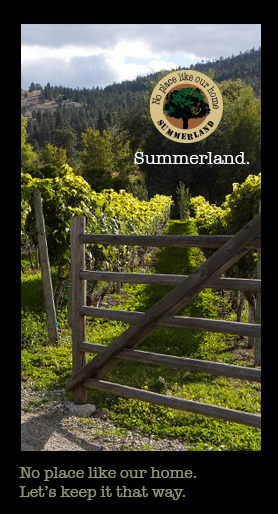 As this is our first issue of Summerland Online, we will be building up the ‘Shop Local’ section over time, but in the interim we couldn’t resist pointing out that Firecracker Jack’s from Naramata is without a doubt the best barbeque sauce this side of Texas. 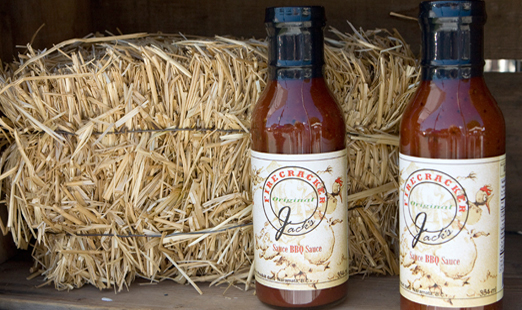 Firecracker Jack’s has no additives, and no artificial preservatives. Made with fresh Okanagan peppers (in truly a shop locally spirit), the sauce is handcrafted in Naramata, with all natural flavouring and all local fresh ingredients. This will fast become your favorite sauce or marinade for meat, pork or chicken. It can be added directly to hamburger meat, it makes for the tastiest kabobs, is excellent on pork chops and is superb as a marinade. It is also the perfect accompaniment for veggie burgers and you can add it to your chili to give it an extra zing. Raymutt: The product isn’t available online at the moment, but I sent you an email with the contact info for the owner.